The program for the EfficienSea2 mid-term conference: Getting connected to the future is out. Take a look, invite and share! Further detailing of the program is ongoing, this is the updated version. 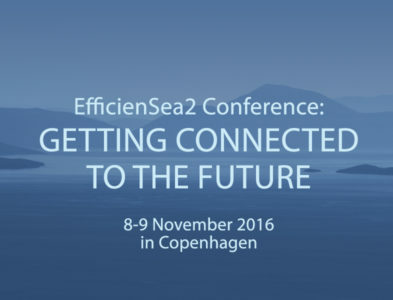 A save-the-date-flyer for our EfficienSea2 conference to be held in Copenhagen on 8-9 November 2016.